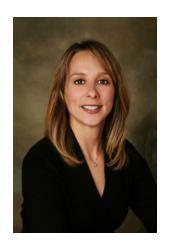 Stephanie brings a record of accomplishments and leadership to Coldwell Banker Tanner Realty. She obtained a B.A. in Marketing and Merchandising from Columbia College, in Chicago, IL. She joined Marshall Fields and Company as a Sales Leader and then Selling Manager where her people, sales and merchandising skills make her a top producer. Marshell Feilds routinely had Stephanie serve as a "Selling Coach" for managers and associates. Since moving to Statesboro in 2001 Stephanie has been active within the community and is a member of the Statesboro Service League. She is an active member at Statesboro First Methodist Church, where she teaches Sunday school and taught preschool for 3 years. Stephanie is married to "Bran" Anderson, residing with him and their two children, Zachery and Ali here in Statesboro. Having a deep family roots in Bulloch County made their decision to settle here an easy one.